Flexibility and versatility are about being able to move freely and confidently from work to work, from task to task, from role to role, changing the way you think, you act and you behave, without any adherence to a set of internal or external rules. Versatility is about using your skills to maximum effect wherever you happen to be working. Whether you plan to engage in a full service planning or specializing in a particular aspect of event planning , it necessary to get accounting/auditing skills, customer service skills, negotiation and interpersonal skills and yes, first aid skills too. Also, be acquitted with your vendors, competitors, location and clients. This will help you determine the type of event you wish to specialize in. This is a vital importance aspect for all categories of event planners. See every event you attend as an opportunity to market yourself and your business. Talk to people about your job and don’t forget to get their contacts. As regards to the nature of your business, you need to have an effective communication skill, of course planning and organizing skill, a welcoming manner of approach and a warm smile. The main goal of your events should be to create a formidable relationship with your clients and, why not, ask them referrals!. Particular aspect of event planning , it necessary to get accounting/auditing skills, customer service skills, negotiation and interpersonal skills and yes, first aid skills too. Also, be acquitted with your vendors, competitors, location and clients. This will help you determine the type of event you wish to specialize in. Know your responsibilities as an event planner; it starts from the invite list down to event decoration, catering, entertainments etc. You really need to be up and doing as an event planner, so don’t look out for drinks and goodies. Unlike the invited guests, you are there to work and not party, so don’t mess up business with pleasure, don’t be carried out by the event. You need to stay focused and be professional all the time. Strong teamwork is an extra credit for anyone working for an event management. When working together towards the actualization of a particular goal, it is much likely to be successful. 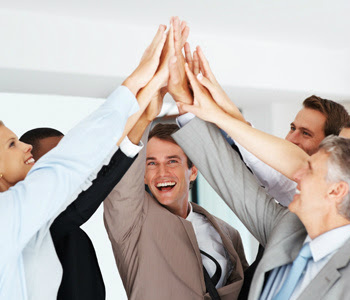 Teamwork enhances creativity, improve job satisfaction, offers a strong network, and increase productivity. Try to thoroughly review/audit your financial account monthly, this will reveal how you are performing. After each audit make budgets for the next month, prepare financial forecasts. Employ the services of an accountant to help reduce the stress, but if you want to get it done yourself, there are many apps and software that can make the work easier for you. Passion is the driving force of every business. It keeps you going against all odds especially when you have every reason to give up. Being passionate can be spirit lifting; it gives you a sense of satisfaction, fulfillment and contentment. Learn to be free and happy with what you do, let it flow from inside to the outside. Learn to forge ahead and smile at every new challenge that comes. Do not relent in backing up your dreams with hard work, because it makes you stronger, smarter and better. Guests and host of events will approach you to meet their needs and some emergencies. Most hosts can be good at mounting pressure on their event planners/managers; they expect everything to be in place without excuses, so they will likely come running to you in emergency cases. Include first aid kit as one of your planning kit. In line with being versatile, you might want to take basic first aid classes: this choice makes you appear very customer-oriented and well organized.